The Obama-era rules that declare the internet as an open utility – known as “net neutrality” – will officially be removed on June 11. The death date of net neutrality appeared in a notice, via Reuters, issued to the public by the Federal Communications Commission. Net neutrality was voted out by the FCC in December last year in a 3-2 split. The voting members of the FCC are not public officials and are not voted into their positions. The removal of net neutrality will give telecom companies like AT&T, Time Warner, and Comcast, broad powers when it comes to controlling which internet content is available to consumers and how fast they can access that content. Net neutrality detractors argue that the net neutrality regulations put too much government oversight on telecom companies and stifled innovation and investment. Proponents for net neutrality believe that the internet should be treated as a utility, like electricity and water, and giving too much power over the internet to telecom companies could drastically affect the lives of Americans in negative ways. Currently, the U.S. Senate is preparing to vote on whether to reject the FCC repeal of net neutrality. However, it is highly unlikely the vote will succeed. The Senate will vote to try to block the death of net neutrality, but at this point it would take a miracle. The Senate will likely pass the vote by a slim margin, but the House of Representatives – which is predominantly Republican – will then probably vote it down. Even if by some strange occurrence it were to go through the House, President Trump would likely veto the bill. That means that after June 11, it is very probable that internet service providers will have the power to prevent consumer access to individual websites, impose data limit caps, and control how fast specific internet content is delivered. 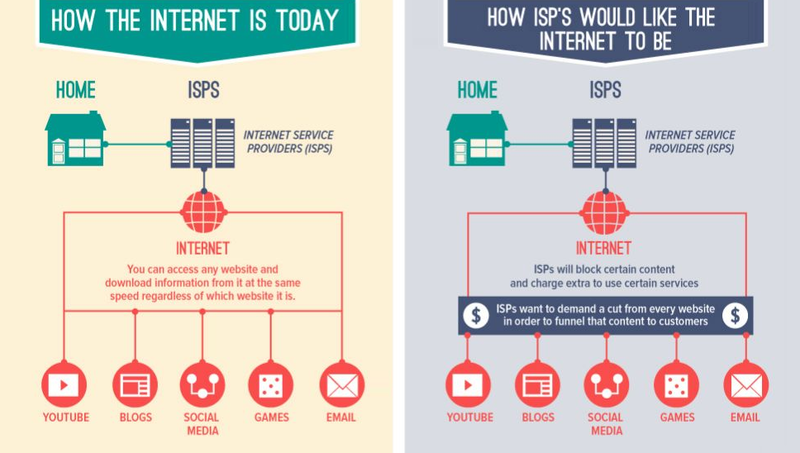 However, the ISP’s will have to disclose those policies upfront, which the FCC believes will inform consumers to which ISP they should or shouldn’t subscribe. Net neutrality proponents argue that since very few consumers have a choice in their area of an ISP, the decision will really become having internet access that is incredibly limited, incredibly expensive, or no internet at all. Democrats believe that the net neutrality issue will be a major talking point in the November midterm congressional elections, with younger voters automatically siding with candidates who are pro-net neutrality.